Spring has definitely passed! While you may associate the end of spring with the end of beautiful blossoms, there are still some sweet-smelling flowers to look forward to this summer. The Japanese pagoda tree (Sophora japonica or Styphnolobium japonicum), our Tree of the Month for July, could hit its three-week bloom period any time from now until early September. Despite its name, the Japanese pagoda tree does not come from Japan. This ornamental tree is native to China, Korea and Vietnam. It usually grows 25 to 35 feet tall but can sometimes reach heights of up to 100 feet! Some identifying characteristics are its oval leaflets, gray-brown bark, and shiny green twigs. The tree’s compound leaves, which range from 6 to 10 inches in length, contain 7 to 17 ovate dark green leaflets. 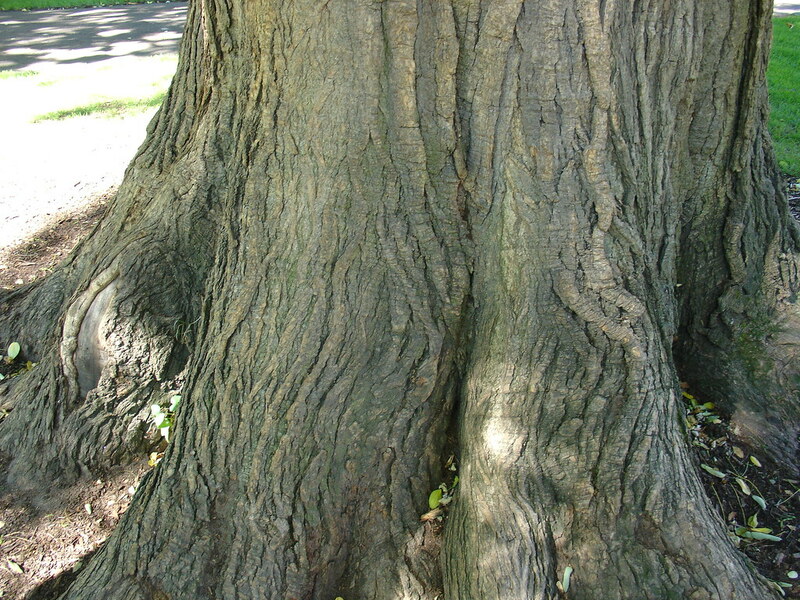 The bark is marked by wavy ridges. 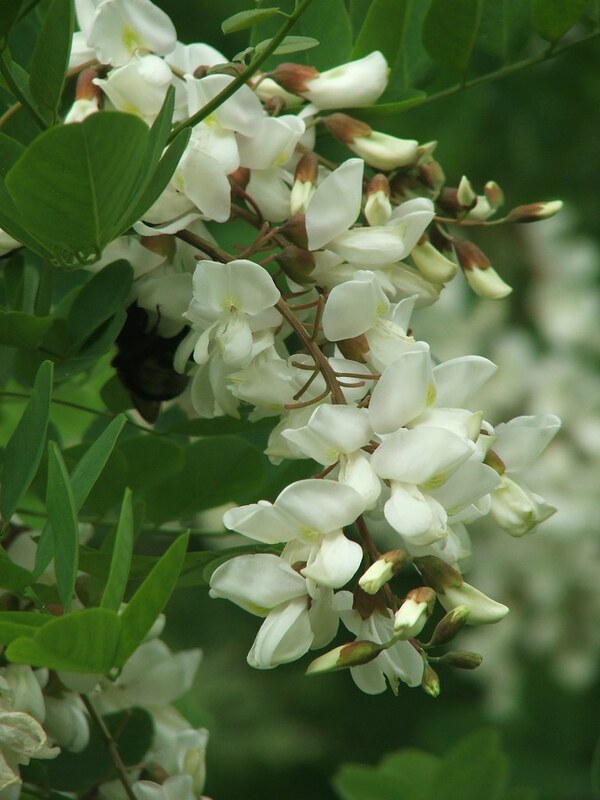 Keep your eyes and nose peeled for the Japanese pagoda's white fragrant flowers which are arranged in loose clusters. During the Chou Dynasty in China, it was customary to plant the Japanese pagoda tree near the tombs of high officials. Our Tree of the Month is a member of the pea family fabaceae. The Japanese pagoda tree is also called the Chinese scholar tree and the honey tree. Sophora japonica 'Pendula', known as the weeping Japanese pagoda, is a cultivar of our Tree of the Month. The weeping Japanese pagoda rarely blooms. Note the wavy bark of the Japanese pagoda tree. Photo credit: geneva_wirth. Japanese pagoda trees can be found in various places around the District including on the Capitol grounds and at Dupont Circle, Lincoln Park and the National Cathedral. 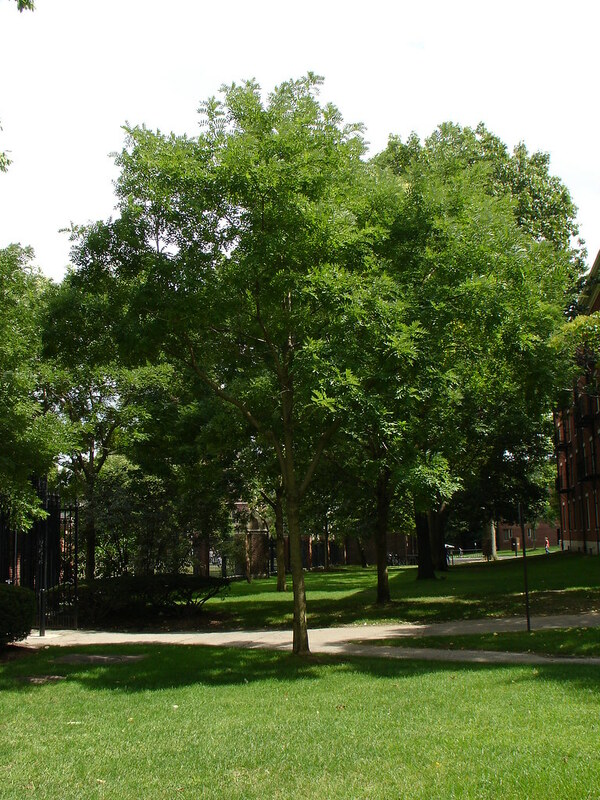 In 2006, Casey Trees named a Japanese pagoda tree in President’s Park near E Street the District’s champion pagoda tree. To find Japanese pagoda trees planted at Community Tree Planting events, search "Pagoda" on our interactive plantings map.